Well-known for its brewing and distilling scene, Kansas City’s roots in the wine industry contribute to a deep history of Missouri winemaking that dates back to the mid-1800s. 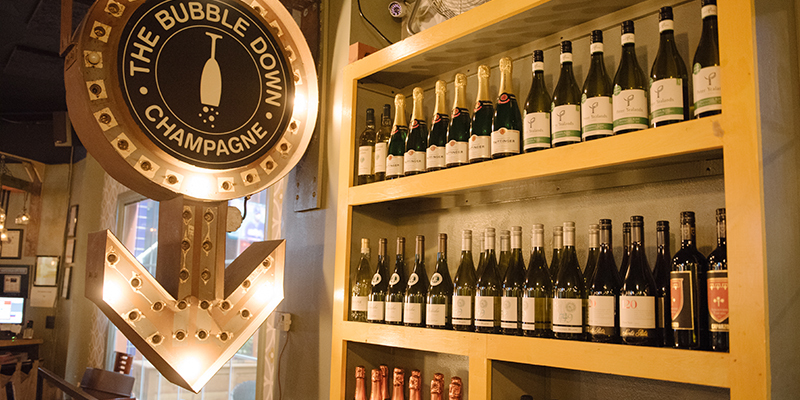 Amigoni Urban Winery: Based in the historic West Bottoms district, Amigoni operates out of a former newspaper building—now renovated as a popular events space—and handcrafts dry wines made from European, Missouri and California grapes. KC Wineworks: Opened in 2014, KC Wineworks is the first full-scale production winery to operate in the booming Crossroads Arts District, found right in the heart of Downtown Kansas City. Rowe Ridge Vineyard and Winery: Located just north of Kansas Speedway in KCK, Row Ridge grows nine different varieties of American and hybrid grapes. Head to the tasting room to sample flights and more. 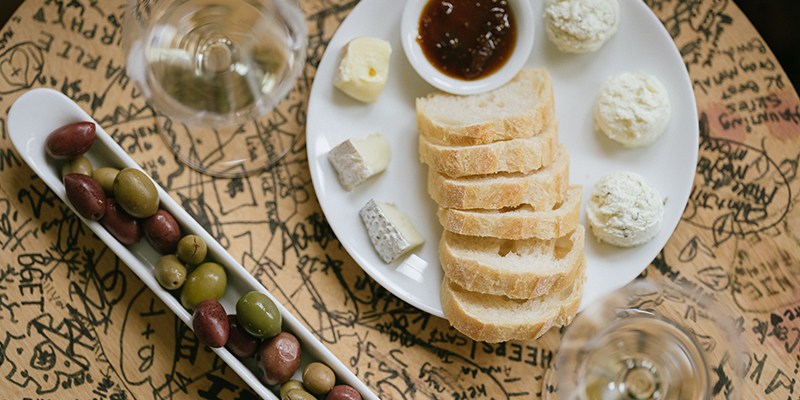 Top Hat Winery: Family-owned and based in Independence Square, Top Hat pairs a variety of sweet reds and whites with sandwiches and pizza for a laid-back experience. Stonehaus Farms Winery: Sample wine varietals at this Lee’s Summit establishment, featuring a rustic tasting room that showcases the stone wall for which the winery is named. Aubrey Vineyards: The first winery to debut in Overland Park, Aubrey Vineyards touts a tasting room perfect for newbies and experts alike. Jowler Creek Winery: Sustainability is key at Jowler Creek, a winery in Platte City that prides itself on green practices like minimizing soil runoff and a solar-powered tasting room. Stone Pillar Vineyard & Winery: This Olathe winery produces more than 20 wines of varying styles, as well as hard cider. Swing by the tasting room or visit during one of the many events the team puts on throughout the year. TerraVox: TerraVox utilizes indigenous, American heritage grapes to create dry wines that pair nicely with meals, charcuterie and other tasty bites. Pirtle Winery: In operation for more than 40 years, Pirtle is a mainstay of the Weston community thanks to complimentary wine tastings and delicious meads—not to mention its popular wine clubs and cozy wine garden. 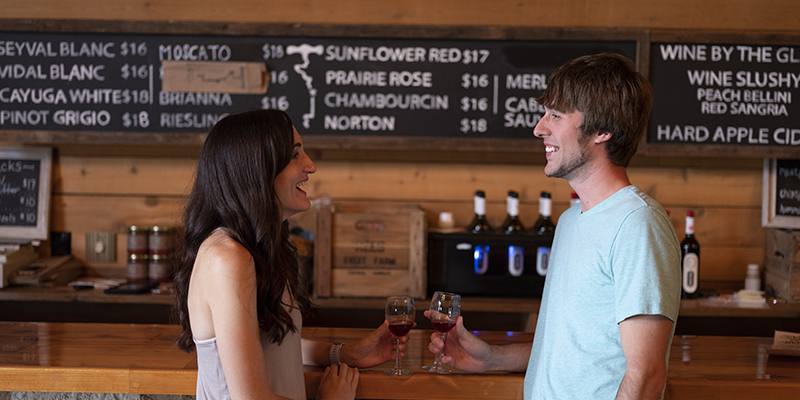 Ladoga Ridge Winery: Take your tannin travels north to Smithville, where you’ll find this award-winning spot churning out everything from reds and whites to fruit wines and specialty releases. 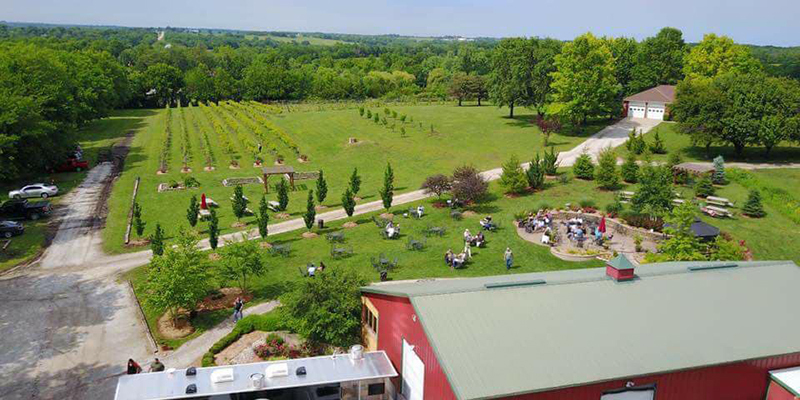 Somerset Ridge Vineyard & Winery: Visit charming Paola—only a little under an hour’s drive outside of Downtown KC—to enjoy live music and wine tastings. Fence Stile Vineyards & Winery: Excelsior Springs is home of Fence Stile, where visitors can enjoy sips during special events, plus a live music series in the business’ wine cave. 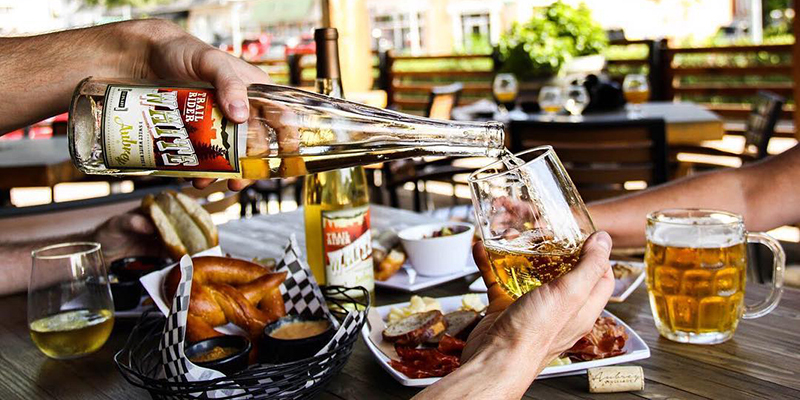 Tannin Wine Bar + Kitchen: This beloved wine bistro that resides just steps from the KC Streetcar line is oft-frequented by late-night visitors thanks to its excellent menu of wine flights, snacks and spirits. Ça Va: Slip over to Ça Va for champagne, sparkling wine and cocktails unlike any else you’ll find in Kansas City—all in Westport, a buzzy nightlife district. 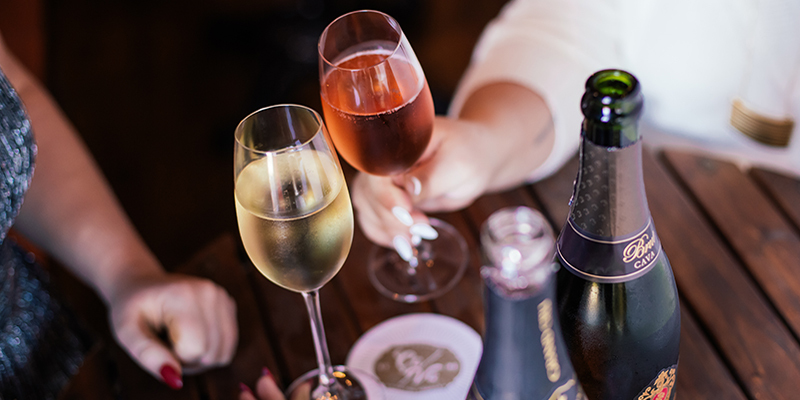 Louie’s Wine Dive: It’s all in the name at this popular regional restaurant: an extensive wine list expertly complements the crave-worthy menu, which includes create-your-own charcuterie, breakfast, lunch and dinner. Find it in Waldo and Overland Park. 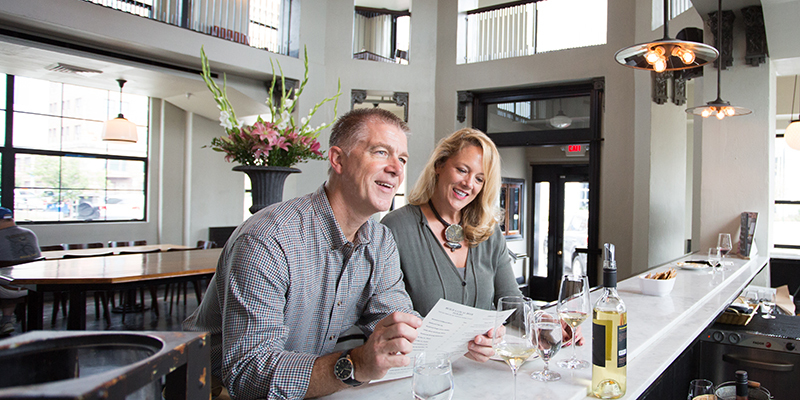 Cooper’s Hawk Winery & Restaurant: The Country Club Plaza’s resident wine bar is also a familiar name, but that’s okay, because it’s wildly popular among aficionados and connoisseurs alike.